Today, many people are busier than they have ever been, with more hours at work, more class credits, more responsibilities, and more pressure. Having more to do means having less time to take care of one’s self and one’s own personal needs. Many people tend to get fast food because they don’t have the time to make a meal for themselves or their families. My mother is one of those people. She works from early in the morning until late at night, so she is often not available to make dinners at night. My father also works late, and is also unable to help out with dinner. My sister and I are left to make our own meals, on top of hours of homework,so we typically do not have a lot of time to make dinner. What I have found to help our family is frozen meals. The brand Birds Eye is known for their many choices of healthy frozen meals. Birds Eye Voila! offers up a variety of quick skillet meals that are healthy and delicious. One of my favorite Birds Eye Voila! meals. A delicious, quick, and easy choice! 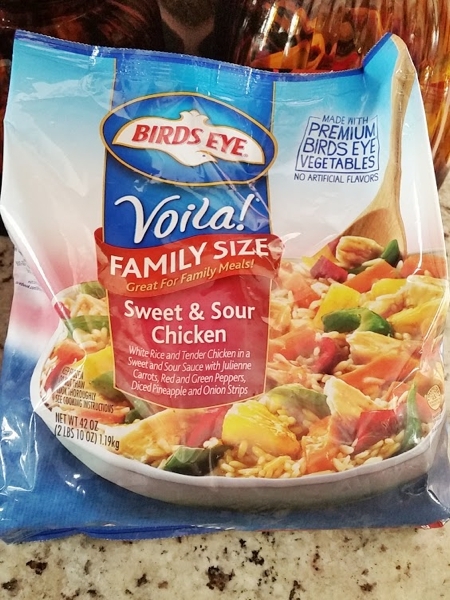 My favorite meal from Birds Eye Voila! is the sweet and sour chicken. By combining the frozen rice and vegetables with the sauce and three tablespoons of water in a skillet I can have a delicious meal in 18 minutes! Another great brand that has quick, easy and nutritious meals is Healthy Choice. 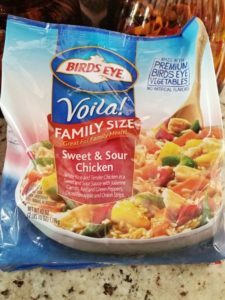 From canned soups, to skillet meals, to baked meals, this brand has so many healthy quick meal choices. One of my favorite meals from Healthy Choice is the Asian Potstickers. This meal is a delicious blend of pot stickers with whole-grain rice, vegetables, and an Asian style sauce. Stick it in the microwave, and you will have a great meal in just 4 minutes. Finding quick healthy meals is not too hard. Just search in the frozen food section of any supermarket, and make sure to pay close attention to the nutrition facts.